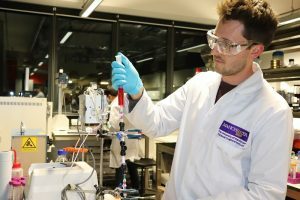 Colchester, UK – LifeSaver®, a UK-based manufacturer of portable and reusable water filtration systems, is thrilled to announce an exclusive contract with the National Graphene Institute (NGI) at The University of Manchester. The 18-month research project will focus on developing graphene technology that can be used for enhanced water filtration, with the goal of creating a proprietary and patented, cutting-edge product capable of eliminating an even wider range of hazardous contaminants than currently removed by its existing high performance ultra-filtration process. Graphene has emerged as something of a wonder material in recent years. It is an ultra-thin single layer of graphite, the material used in pencil lead. Considered the first two-dimensional material ever discovered, it is also one of the strongest known natural materials in the world, while retaining high levels of flexibility, conductivity and filtration. By incorporating graphene into its existing market leading water purification technology, LifeSaver hopes to reduce the sieve size of its hollow fiber filtration membrane from the current 15 nanometers (which effectively removes bacteria, microbial cysts and viruses) to about 1-3 nanometers. At that size, LifeSaver products could remove a much wider range of contaminants, such as heavy metals, pesticides, certain chemicals and potentially even nuclear radiation, from drinking water supplies.